The Student Alumni Association and the Office of the President are hosting this year’s Freshman Welcome. Stay on the lookout for information from RAs about when your group is heading to the pre-party. 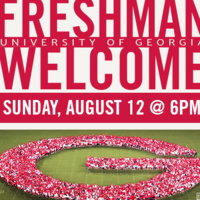 All incoming students--freshman and transfers--are encouraged to attend.